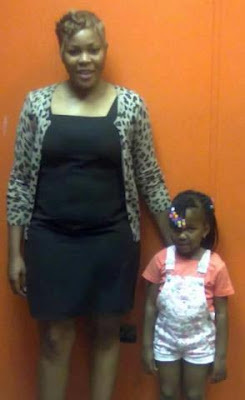 HARARE - A fomer Harare model yesterday stunned a Harare Civil Court after she demanded a monthly payment of $2 000 for the upkeep of her eight-year-old child. Mercy Mushaninga justified her claim, arguing that the child had been exposed to an upmarket lifestyle. “I want him to pay $2 020 every month, $500 for food, $250 maid, $750 rentals, fees $433, other incidences $100,” Mushaninga said. “I know he can afford that kind of money because he earns $3 500 and owns a truck that gives him $700 every two days because he is contracted with Hwange Colliery Company. Mushaninga’s ex-husband Robson Zimbudzi told the court he could not afford the $2 000. “I cannot afford to pay the amount she is claiming because I only earn $550 and have a wife and two other kids. I have pay slips evident to that effect. I can only give her $50 because I also have other expenses. Mushaninga requested for a legal order to take Zimbudzi to his employer in Botswana to verify his earnings. “If possible I would want a letter to take to his employer to bring back the correct payslip,” she said. Presiding Magistrate Rekinah Dzikiti granted her $70 monthly maintenance and advised Mushaninga to return to court when she has the evidence.